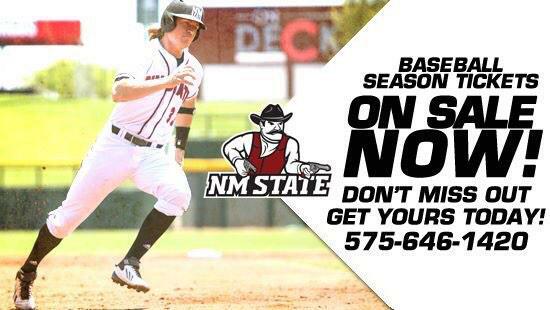 LAS CRUCES, N.M. – Head coach Brian Green recently announced that Ben Jackson is the new volunteer assistant coach for the New Mexico State baseball team. Jackson, a native of Rome, Ga. spent four years working with Green at the University of Kentucky. Jackson was serving as UK’s bullpen coordinator, while also serving a variety of duties for NM State head coach Brian Green, UK’s offensive coordinator from 2009-14. Jackson will assist Coach Green as the catcher’s coach, while he will also be the first base coach on offense. Jackson is also assigned as an assistant to Coach Joel Mangrum with the pitchers and is the camp coordinator. During his time at UK, Jackson helped lead the Wildcats to a pair of NCAA Regional appearances, including a school-record 45-win season in 2012. During the 2012 season, UK boasted a pair of freshman All-America selections, as well as Southeastern Conference Freshman of the Year Austin Cousino. Jackson helped mentor one of the top players in the history of college baseball during the 2014 season in unanimous National Player of the Year AJ Reed. Reed swept all the national awards during a record-breaking season, leading the NCAA in homers, slugging and OPS, while also leading the SEC in pitching victories. Jackson transferred to UK in 2010 from Armstrong Atlantic State University after pitching two seasons. Jackson was charged with a plenty of responsibilities, including assisting in the management of the office, coordinating video scouting and development, assisting in planning and executing practice plans and serving as the assistant director of UK’s camp program. During the 2013 summer, Jackson served as the pitching coach for the Victoria Harbourcats in the West Coast Collegiate League. The Harbourcats finished 25-29, taking second in their division. Jackson earned his degree from UK in 2013 in history, with a minor in geography. In high school he attended the Darlington School before serving as a right-handed reliever for two seasons at Armstrong Atlantic State.